“Words cannot describe how much of an impact Keiko and her coaching services have had on my life. There were several personal and career oriented areas in my life in which I was seeking support in – to include realizing my dream of starting my own business. Having known Keiko from the Corporate arena, I couldn’t wait to sign on with her the moment I learned she had become a Professional Coach. “Keiko has been a great coach for me. She has helped me get clarity about certain goals and got me to put actions in place. She has assisted me to think differently, set more realistic goals and start acting towards them to achieve my life’s passions. The exercises that we did together were very valuable. Keiko’s positive attitude was instrumental in my taking actions instead of getting discouraged. I really appreciate her challenging, thought provoking questions, innovative ideas and approaches to our discussions. I felt comfortable talking about any topic, knowing that there would be no judgment, just good advice and support“. 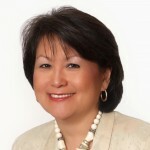 “I first met Keiko early in my career at GE and over the past 16 years, she has become a mentor, coach and friend. I have worked for Keiko and I must say, working for her, pushed me to a level professionally that helped me clearly identify my passions, strengths and opportunities. In addition, as a result of her mentoring and coaching I am more confident professionally and have also been able to effectively mentor others. Her drive, passion and professionalism have been inspirational and have enabled me to shift my thinking to dream big and achieve my goals! “When I worked with Keiko, I was totally inspired by her positive energy and amazing example of how she has gotten where she is. She kept me focused on my goals and helped me to move forward in ways that had me surprised I could do the things I was able to do“. “I met Keiko while working at GE and she has been my mentor and career coach ever since. She was instrumental in helping me identify my mental “baggage” that inhibited my career growth. To learn more about coaching and how it can help you achieve your big goals and dreams, contact us to schedule an exploratory consultation.